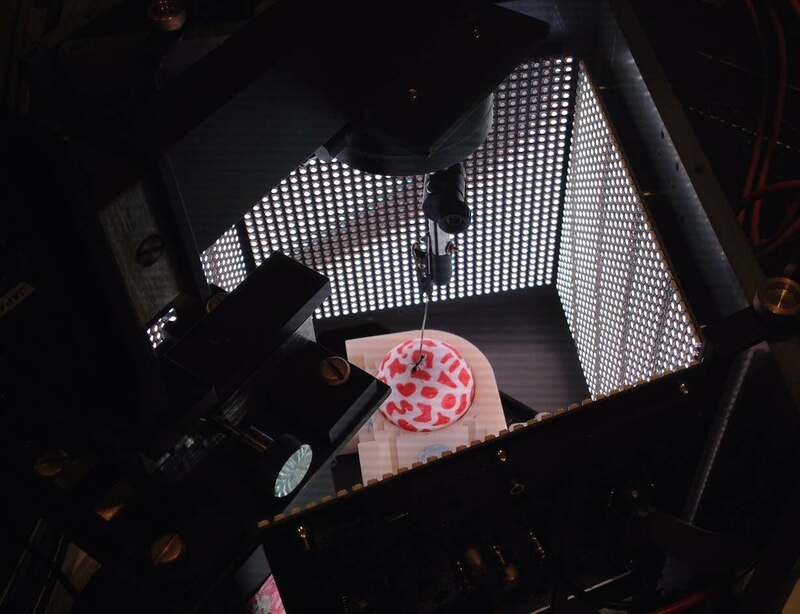 Effect of miniaturisation on visual information processing capacities of ants: Size is thought to dictate the performance of sensory systems and through this the lifestyle and the information processing capacities of animals. Ants exhibit dramatic differences in body size both within and between species. Irrespective of size, all individuals have to be competent navigators. What behavioural and neural adaptations have miniature individuals evolved to be competent navigators? Action in dim light: Several hymenopteran insects (ants, bees and wasps) are active in dim light conditions. What navigational information do animals use at low light? Does their navigational performance suffer at low light? What behavioural, physiological, anatomical and neural adaptations are required for being active in dim light habitats? Our work has demonstrated that nocturnal ants tend to have larger lenses and wider photoreceptors compared to their diurnal relatives. Even in dim light, nocturnal ants rely on visual information for navigation. While heading to their goal nocturnal ants appear to pause for longer durations as light levels drop, which is most likely a behavioural adaptation to increase their integration time that provides them with a brighter but a coarser view of the world. Navigational information learnt during tandem running or carrying: While most ant species forage individually, some embark on more adventurous manners to take their nest mates to a particular goal. 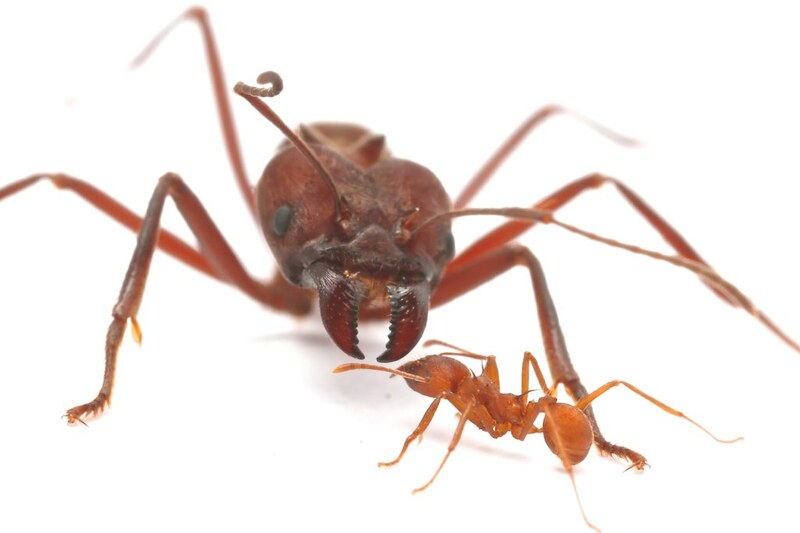 In some species, ants engage in a behaviour called tandem running, wherein a leader who most likely ‘knows’ the location of the goal, leads a follower to it. In some species, ants resort to carrying nest mates during nest relocation. In both these cases, we are interested in what information the follower (in tandem running) or passenger (in carrying pairs) acquires and how it utilises it on its subsequent trips. Design of eye structures in the context of size, activity time and task: To move from a day- to a night-active lifestyle substantial visual adaptations are required to cope with the dramatic changes in light intensity. This has mostly been documented in distantly related species. In some ants congeneric species are active at different times of the day. We take advantage of this and the well-defined caste system in ants wherein the lifestyle and visual ecology of pedestrian workers and winged alates are truly distinct. We have discovered dramatic visual specialisations occur both within and between species in Myrmecia ants which is related to their time of activity and specific tasks. We are now addressing whether body size dictates the design of visual system in ants. Structure and function of ocelli: In addition to compound eyes most insects have one, two or three simple eyes known as ocelli. In flying insects, the ocelli assist in attitude control and horizon detection. In some ant species, ocelli is present in pedestrian workers. What could their role be? There is some indication that ocelli might detect the change in pattern of the polarised skylight and in nocturnal species ocellar lenses are large suggesting they could act as a light capturing structure. 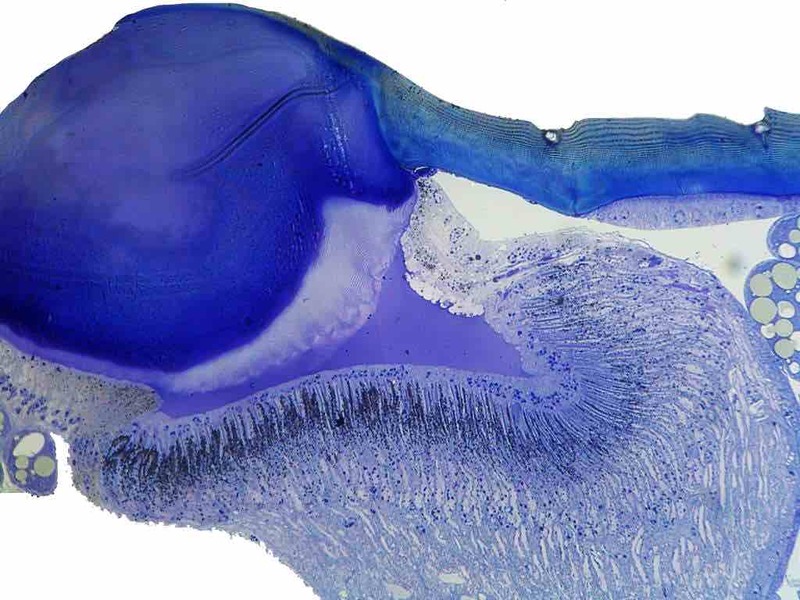 Through a comparative analyses we are investigating the functional role of ocelli in ants using neuro-anatomical, histological and behavioural methods. Development of foraging: How does an ant leaving from the dark confines of its nest for the first time know where to go and know how to return home? How and what information do they learn before leaving the nest or a stable food source? What modifications do the sensory structures and navigation-relevant brain regions undergo at this stage?